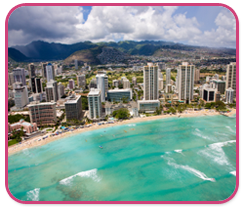 Welcome to the office of Dr. Denise W. L. Hew, a leader in OB/GYN care in Honolulu, Hawaii. We are committed to providing comprehensive obstetric and gynecologic services for the women of our community. Pregnancy is a life-changing event in a woman and family’s life. From the first ultrasound to your delivery, our team of professionals is here for you every step of the way. Our state-of-the-art technology and advanced techniques ensure you and your baby receive optimal care that is second to none in a safe, clean and comfortable environment. We also offer complete gynecologic care for women of all ages. Your comfort and health are our top priority, and our doctors are sensitive to your needs and work hard to give specialized care to each individual. We invite you to join our growing family of patients and experience an atmosphere where we put women’s health first.